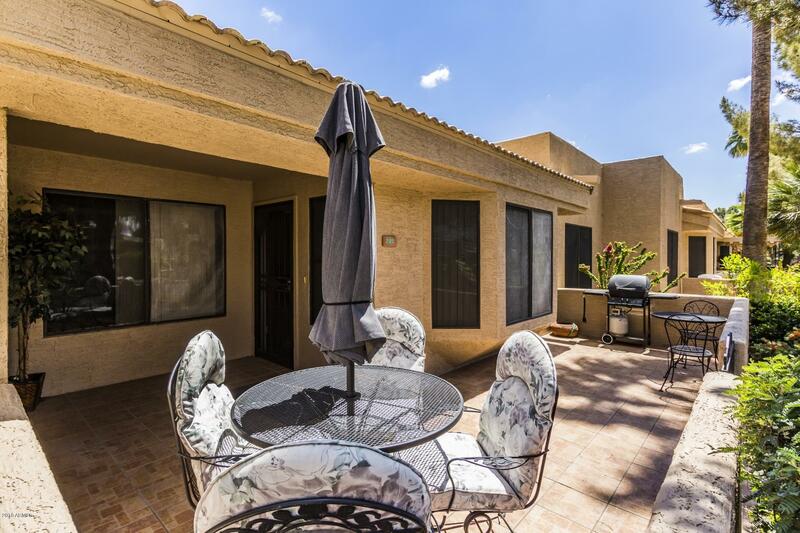 All SUN VILLAGE RESORT CONDO homes currently listed for sale in Surprise as of 04/23/2019 are shown below. You can change the search criteria at any time by pressing the 'Change Search' button below. "Rarely found on the market! Furnished, vaulted & extended D-model condo is move-in ready! Fully tiled throughout. Two master bedrooms with ensuite baths in both. Murphy bed in one bedroom allows for flexibility, doubling as an office/den. Walk-in closets in both bedrooms as well. Unit has assigned covered parking and a lockable storage area. Generous patio! Great location, close to the pool and recreation center. Sun Village offers so many amenities you'll have trouble choosing! 18-hole Par 3 wa"